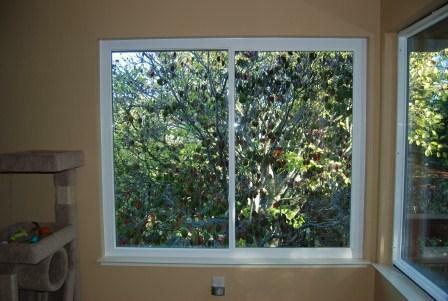 These are the original single pane aluminum windows which we will be replacing with new Daylight Max dual pane vinyl windows by Simonton. We have removed the original aluminum-framed glass and the center bar of aluminum. 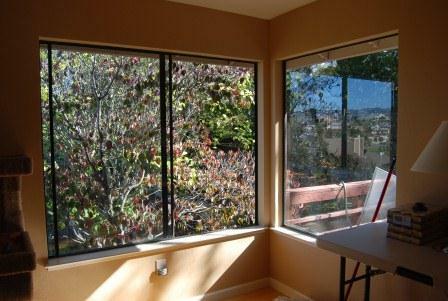 The original aluminum frame, which is nailed into the wall studs, has been left intact and the new vinyl retrofit window frame has been placed over the existing aluminum frame. 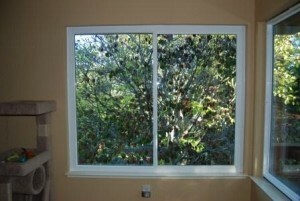 Once our installers have verified that the window is level and true, they will seal and secure the new window in place. Foam insulation will be added to fill any air gaps. Once we are finished, this is how your new dual-pane Simonton windows will look. 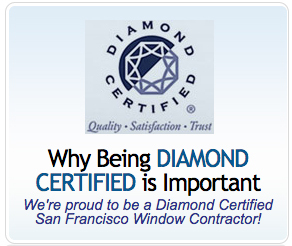 There is no need to paint and there has not been any damage to the window sill and trim, nor to the exterior siding/stucco. 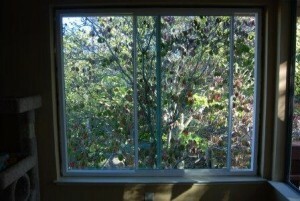 Before leaving, our installers will clean and vacuum all the debris, and the old windows will be taken away with them. All you have to do now is enjoy your new windows!